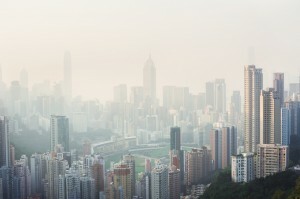 How detrimental can air pollution be to your health? According to a new study, extremely. A new study by researchers at Harvard T.H. Chan School of Public Health found that death rates among people over 65 are higher in zip codes with more fine particulate air pollution (PM2.5) than in those with lower levels of PM2.5. 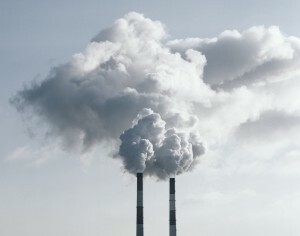 It is the first study to examine the effect of soot particles in the air in the entire population of a region, including rural areas. The harmful effects from the particles were observed even in areas where concentrations were less than a third of the current standard set by the Environmental Protection Agency (EPA). Previous studies have linked both short- and long-term exposure to PM2.5 with increased mortality, through mechanisms such as heart disorders, increased blood pressure, and reduced lung function. The researchers used satellite data to determine particle levels and temperatures in every zip code in New England. This allowed them to examine the effects of PM2.5 on locations far from monitoring stations, and to look at the effects of short-term exposures and annual average exposures simultaneously. They analyzed health data from everyone covered by Medicare in New England — 2.4 million people — between 2003 and 2008 and followed them each year until they died. They found that both short- and long-term PM2.5 exposure was significantly associated with higher death rates, even when restricted to zip codes and times with annual exposures below EPA standards. Short-term (two-day) exposure led to a 2.14% increase in mortality, and long-term (one-year) exposure led to a 7.52% increase in mortality. FilterPro can help you protect your building from harmful particles by installing a state-of-the-art air filtration system for your facility. Our air filtration systems will bring cleaner air for your employees, improving the health of your workforce! Contact us today and see what FilterPro can do for you!